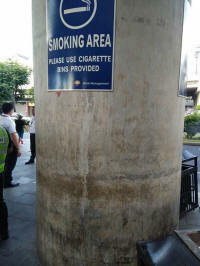 Smoking is only permitted in designated areas outside the terminals. Be warned, this airport may be going completely smoke free. Every update I am now getting is of areas closed. Terminals 1/2/3 have outside terminal smoking areas by crossing over the taxi/bus bays road, however use the distinguishing bins to discard, as there is a fine for littering cigarette butts if you are spotted of 2500 pesos. 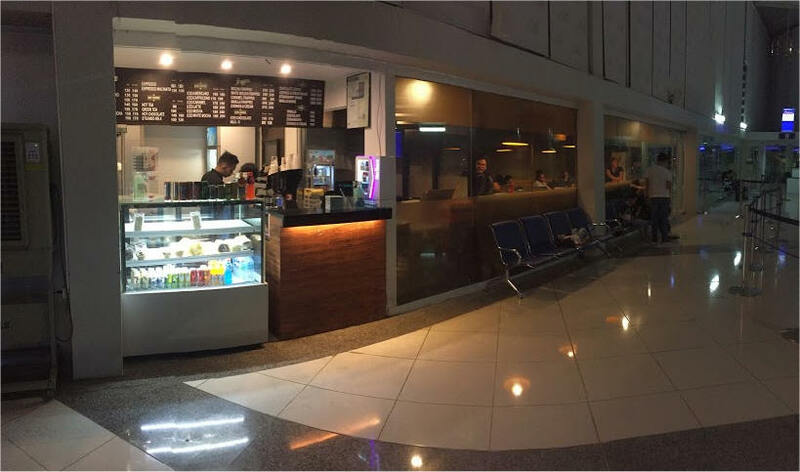 Update from Ilya on the 11th Jan 2019: There are two smoking places at Manila international airport terminal 2 you have not mentioned: near gate 6 (inside cafe with Illy sign) and near gate 9. 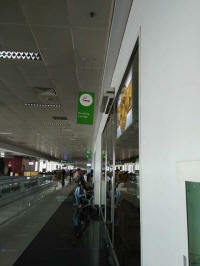 Both smoking lounges are now close air side. 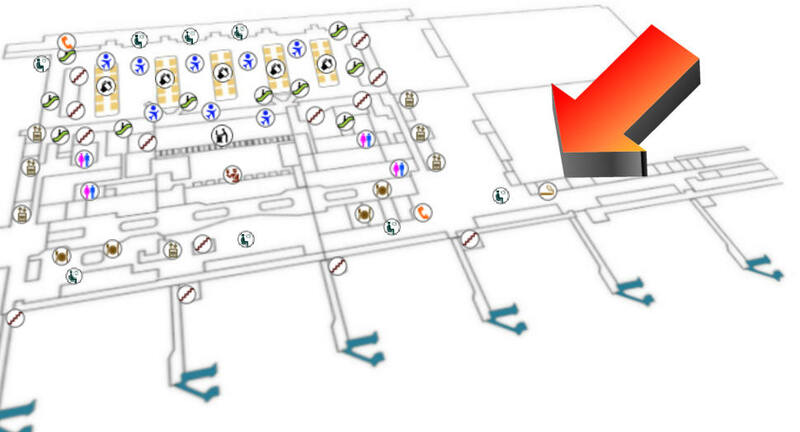 Only area is at arrival, ground floor, across the road from bay 1. Update from Allen T. on the 9th April 2019. All smoking lounges have gone as of Jan 2019 (DOMESTIC) with only one open in the international departures at the far left side as of Friday 29th 2019. Update from Mike T. on the 3rd April 2019. This is a PROPELLER AIRCRAFT terminal serving small Filipino islands, and current information is not known by myself as I have not used this terminal, however it's a very small terminal, so outside the check-in area desks is not a long walk to the 1 departure gate.